East Riddlesden Hall is a picturesque 17th-century mansion built on the foundations of an earlier medieval hall house. 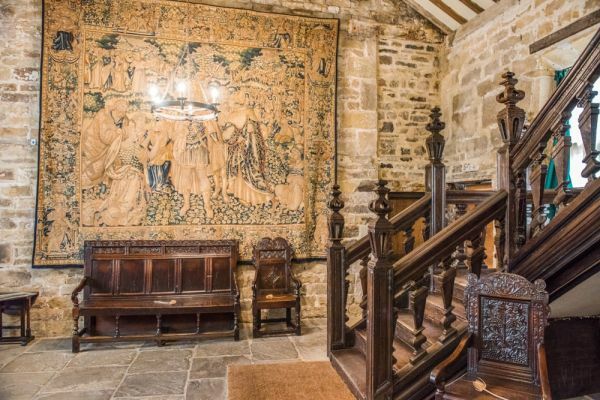 The main part of the medieval house was rebuilt around 1630, with further remodelling in 1648 and again in 1692 when a new range, now ruined, was added to the earlier structure. It is the 1648 rebuilding which forms the larger part of the house we can see today. 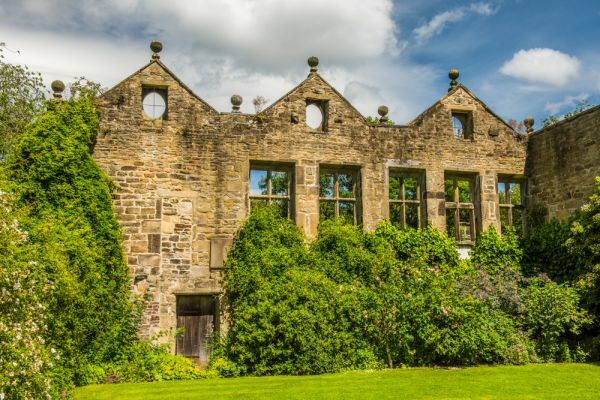 The main 17th-century rebuilding at East Riddlesden was probably by James Murgatroyd of Warley and is considered one of the best surviving examples of 17th century vernacular Yorkshire architecture. The first Hall at East Riddlesden was built in Saxon times by Cos Patric, Lord of Bingly. From 1125-1400 the Hall was owned by the de Maude family. In the early 14th century, they built a simple hall house on the site of the present Starkie Wing. Then in the 15th century, a farmhouse was built for the Paslew family just west of the hall. 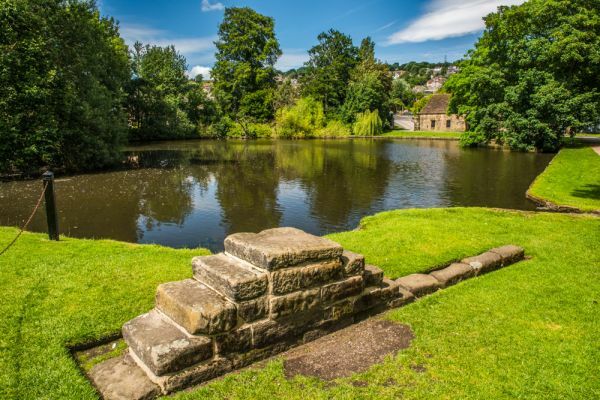 The property passed to the Rishworth family of Halifax when Robert Rishworth married Ellen Paslew. In 1638 James Murgatroyd purchased the East Riddlesden estate from John Rishworth. 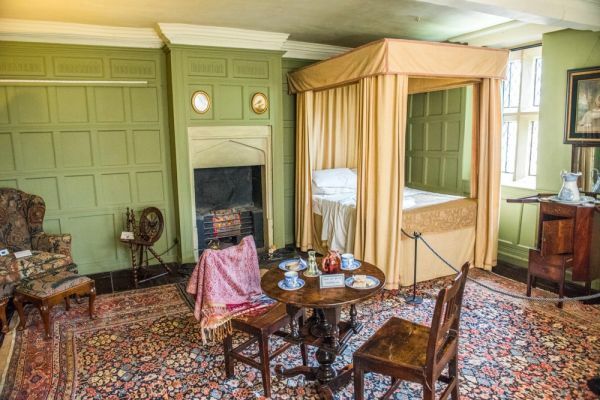 Curiously, the sale agreement allowed Rishworth to keep using rooms in the Hall until his death. James Murgatroyd built the Great Hall as a temporary structure, but it is still in use today. When James died in 1653 his sons James and John both claimed ownership of the Hall. John Murgatroyd leased the Hall to the Starkie family without his brother's knowledge. 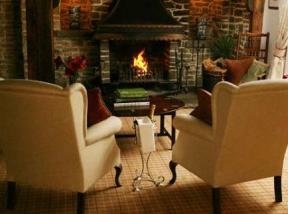 The Starkies moved into the Hall in 1672 and took over ownership in 1708. They added the Starkie Wing and lived here until the family line died out in 1797. 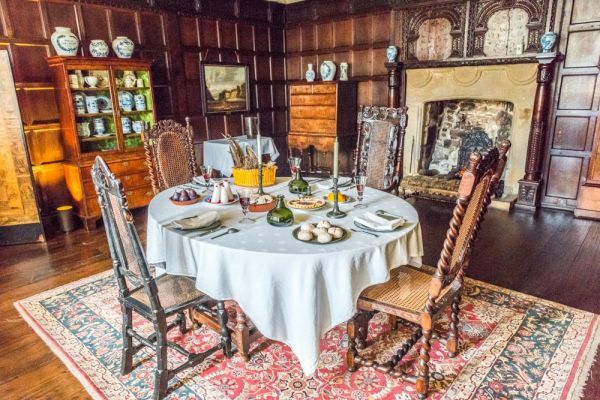 During the 19th century the Hall was rented out by absentee landlords and occupied by a succession of tenant farmers. The last family to live at East Riddlesden were the Bailey family. The Starkie Wing was torn down in 1905, leaving only one wall. In 1933 the estate was saved from being destroyed by the Brigg family from Keighley and donated to the National Trust. The Briggs brothers also re-purchased many interior furnishings that had been sold. The hall is two storeys high and built of ashlar. 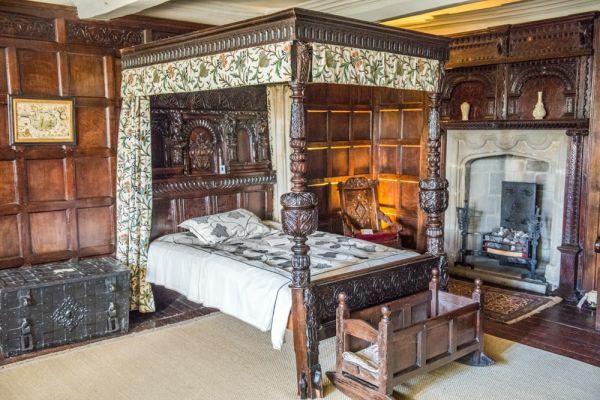 The interior features large stone fireplaces and oak panels, with excellent plasterwork ceilings, and there are displays of pewter, oak furniture, and historical embroidery. The exterior features a grass maze and duck pond, set in a lovely country garden. The garden features colourful floral displays, including daffodils in Spring, clematis, flowering borders, and pink cherry trees. 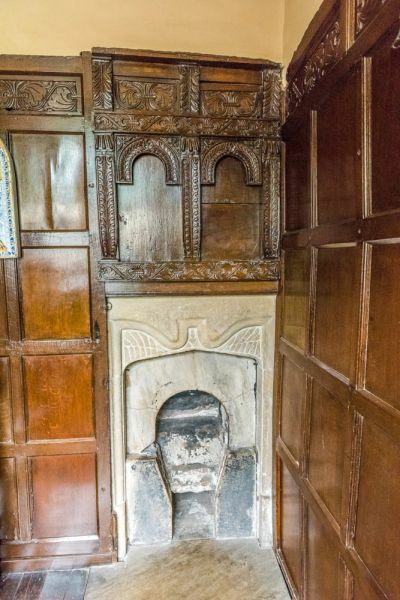 One of the interior highlights is a secret hiding place for Catholic priests, created when Catholicism was outlawed during the Elizabethan period. There is a fascinating exhibit of 19th-century samplers, and fabulous 17th century carved furniture. East Riddlesden Hall is the reputed home of several ghosts. The most famous spectral being is the Grey Lady. The story goes that the lord of the manor returned from a Civil War battle to discover that his wife had been having an affair. In a rage, he murdered his wife's lover and had her bricked up inside a wall to suffer a slow death. Her spirit is said to wander the house searching for her dead lover. There is also a Blue Lady, thought to have drowned in the fish pond. Ghostly animals have also been sighted by visitors. To the north of the Hall, near the main visitor entrance, is the Great Barn, a remarkably unaltered 17th-century barn used to store hay, corn, and livestock. The Great Barn boasts a superb oak roof that stretches 120 feet. The roof beams are supported on huge aisle posts. On each side of the barn are entrances large enough to admit a cart drawn by a pair of oxen abreast. The barn's stone floors were used for threshing grain after harvest, to separate the grain from the husks. The clean grain was stored in a wooden chest, known as an 'ark'. 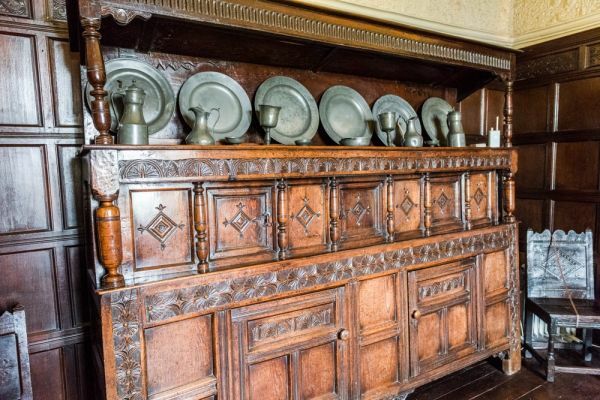 One of the Murgatroyd family's 17th-century arks can be seen in the Hall kitchen. The Great Barn housed cattle over the winter. Maintaining a herd of cattle allowed the Murgatroyds, and later the Starkie family, to be self-sufficient. One of the cows that would have been sheltered in the Great Barn was the 'Airedale Heifer', a prize-winning 19th-century cow weighing 2640 pounds and measuring 3.5 metres from nose to tail. 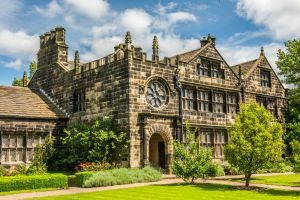 East Riddlesden Hall was used as the setting for the 1992 film adaptation of Wuthering Heights. 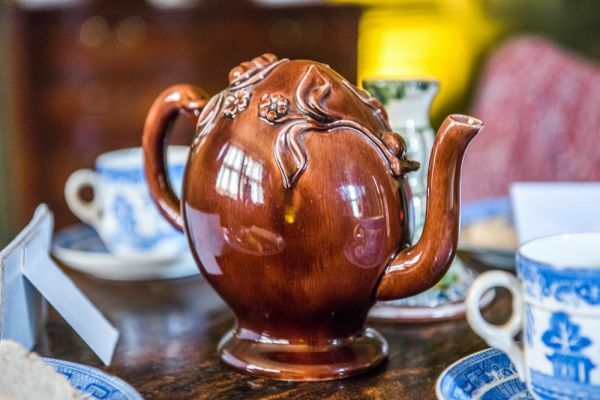 There are regular events throughout the year, including open-air theatre, children's trails, costumed guided tours, ghost tours, and school holiday programmes. There are country walks through the surrounding estate and along the river. The Hall is also rented out as a wedding venue. Location: On the south side of Bradford Road in Riddlesden, close to the Leeds & Liverpool Canal. Free parking.